LE JEUNE, PAUL, superior of the Jesuits of Quebec from 1632 to 1639, first editor of the Relations des Jésuites de la Nouvelle-France, missionary at Quebec, Sillery, Tadoussac, Trois-Rivières, and Montreal from 1639 to 1649, procurator of the Canadian mission (1649–62); b. 1591 at Vitry-le-François in the diocese of Châlons-sur-Marne; d. 7 Aug. 1664 in Paris. 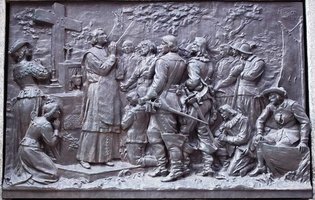 Paul Le Jeune was born of Calvinist parents in the province of Champagne, which gave so many exceptional souls to New France: Paul de Chomedey de Maisonneuve, Jeanne Mance, Louis d’Ailleboust, the blessed Marguerite Bourgeoys, Jacques Marquette, and so on. According to Fressencourt he was 16 when he embraced Catholicism. In 1613 he entered the noviciate of the Jesuits of Paris. Two years later he studied philosophy at the Collège Henri IV at La Flèche. This was at the time when Father Énemond Massé, who had returned from Acadia, was minister of the boarding-school pupils and was communicating to the young a missionary fervour, of which Canada was before long to receive the fruits. Among Father Massé’s young disciples at La Flèche from 1614 to 1625 were Charles Lalemant, Barthélemy Vimont, Anne de Nouë, Charles Du Marché, François Ragueneau, Jacques Buteux, Alexander Vieuxpont, all of them future missionaries to Canada. After finishing his philosophical studies Father Le Jeune was a teacher at the colleges in Rennes (1618–19) and Bourges (1619–22); he studied theology for four years at the Collège de Clermont in Paris, taught rhetoric at Nevers from 1626 to 1628, and did his third year of the noviciate at Rouen under the direction of the famous Father Louis Lallemant. In 1629–30 he was once more professor of rhetoric, but this time at Caen. The following year he was preaching at Dieppe, and he was in charge of the Jesuit residence in this town when he was appointed superior-general of the mission in Canada. 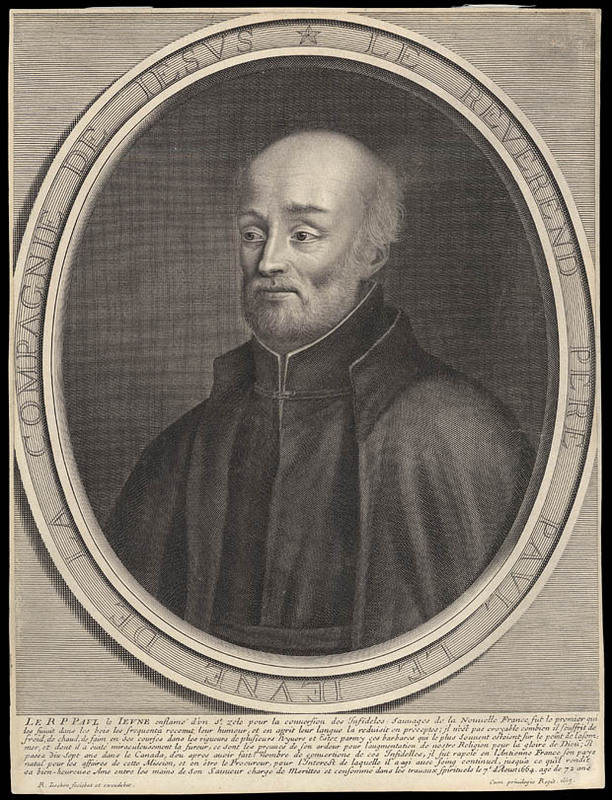 Although he had lived in an intense missionary atmosphere at La Flèche and at the Collège de Clermont, he had not asked for an apostolate in a distant land. And yet the provincial’s letter which assigned him to Canada was one of the happiest events in his life. He wrote: “Having been notified by you on the last day of March that I should embark as early as possible at Havre de grace [Le Havre], to sail directly for New France, the joy and happiness that I felt in my soul was so great that I believe I have experienced nothing like it for twenty years, nor has any letter been so welcome to me. I left Dieppe the next day. . . .” In these words is revealed Father Le Jeune’s whole soul: an extraordinary and serene optimism which freed itself easily from the past to devote itself entirely to the task assigned to it. He was later to write: “I thought nothing of coming to Canada when I was sent here; I felt no particular affection for the Savages, but the duty of obedience was binding, even if I had been sent a thousand times further away; but I may say that even if I had had an aversion to this country, seeing what I have already seen, I should be touched, had I a heart of bronze.” This assiduity in his duty was to make Father Le Jeune responsive to the lessons of experience and was to make of him one of our great missionaries. A man of this stamp was needed to rekindle the apostolate of the Jesuits in New France, for after three years of English occupation everything had to be begun again. Confronted with the lamentable condition in which he found the Jesuit residence he did not give himself up to vain recriminations: “When a person is in dire distress, he must deliver himself as best he can. It is a great deal that such a guest [the Kirkes] has left our house and the entire country.” There was a still more serious problem: his ignorance of the language, manners, and customs of these peoples whom he was coming to evangelize. With neither a grammar nor a dictionary, he had to resort to the direct method, to conversation with the Indians. After a few fruitless attempts at Quebec, he decided to accompany the Indians on their winter hunt (1634–35), a heroic undertaking for a refined 17th-century intellectual, but at the same time an experience of which he bore the burden without complaining and which had the most satisfactory consequences. Not only did he acquire mastery of the language and earn the goodwill of the Indians, but he also conceived means of carrying out the apostolate which were to prove to be effective: the necessity of making the nomadic Indians sedentary in order better to teach them the truths of the faith; the necessity of a hospital to care for the aged and the ill, of schools for educating the young; the need of a carefully selected European population which would be capable of completing the apostolic work of the missionaries by its devotion and its own example. When he came to be replaced as superior by Father Barthélemy Vimont in 1639, this ambitious programme was to be well on its way to being realized. Father Le Jeune is justly regarded as the founder of the Jesuit missions in Canada. Such toil did not prevent him from collaborating in the founding and maintaining of the post at Trois-Rivières and in the starting-up again of the Huron mission. As superior of the Jesuits of Quebec from 1632 to 1639, Father Le Jeune was held in very high esteem by the civil authorities. He took pleasure in recognizing in the Relations the profoundly Christian spirit of the first two governors, Champlain and Huault de Montmagny. In 1635 he pronounced the former’s funeral oration, for which he wrote: “I did not lack material. Those whom he left behind have reason to be well satisfied with him, for though he died out of France, his name will not therefor be any less glorious to Posterity.” It was he who presided over the ceremony by which Bras-de-Fer de Chateaufort succeeded Champlain temporarily. In the 1636 Relation he greeted Montmagny’s arrival with an enthusiasm that was never to flag. Through the Relations he openly carried on his role as a missionary and colonizer; what he wanted was quality, not quantity: “I beg those who shall come, to come with a desire to do good. New France will some day be a terrestrial Paradise if our Lord continues to bestow upon it his blessings, both material and spiritual. But, meanwhile, its first inhabitants must do to it what Adam was commanded to do in that one which he lost by his own fault. God had placed him there to fertilize it by his own work and to preserve it by his vigilance, and not to stay there and do nothing. I have more desire to see this country cleared, than people. Useless mouths would be a burden here, during these first years.” But if there was always perfect harmony between the superior of the Jesuits and the governors, there is no indication that Father Le Jeune intervened in the administration of the colony. 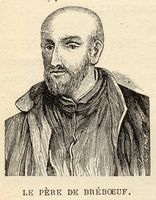 Having become once again a simple missionary in 1639, Father Le Jeune exerted himself unsparingly, with his customary simplicity and optimism, at Quebec, Sillery, Tadoussac, Trois-Rivières, and Montreal. 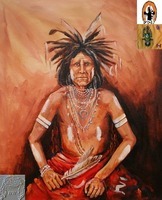 In 1641 and 1643 he was delegated to go to France to obtain help against the Iroquois peril. The immediate result of his first voyage was the building of Fort Richelieu (1642), on the site of the present-day Sorel. That was not all; for several years previously he had been hoping that a missionary post would be founded at Montreal. 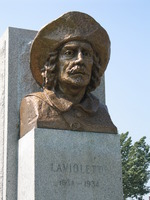 He was in the French capital when the dedication of Montreal Island to the Holy Family took place in February 1642. The personal relations he established at that time with Jérôme Le Royer de La Dauversière and the other members of the Société Notre-Dame de Montréal were of the greatest importance. In M. de La Dauversière’s project, which was called a “mad enterprise” by so many others, he saw the finger of God. He wrote in the 1642 Relation: “Such an enterprise would have seemed as rash as it was holy and daring, had it not been based upon the power of him who never fails those who undertake nothing except under the impulse of his will. And everyone who learns what is being done to carry out this great design successfully will at once see that Our Lord is certainly the author thereof.” He joined in the project enthusiastically, published the text of the first plan of the Messieurs de Montréal, and placed at the service of the cause his vast personal prestige and the excellent publicity medium constituted by the annual Relation. 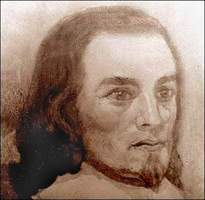 At the formal request of M. de La Dauversière he was to spend the winter of 1645–46 at Montreal, along with Father Isaac Jogues. In 1649 Father Le Jeune returned to France and was assigned the office of procurator of the mission. 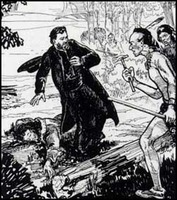 Did his superiors think that the destruction of the Huron mission was likely to discourage the benefactors and dampen the zeal of the aspiring missionaries, and did they think that Father Le Jeune’s presence was consequently more useful in France than in Canada? Everything leads us to that view. It is certain that, as mission procurator, he had the responsibility of publishing the annual Relation and that he did not fail in the task. When the manuscripts left Quebec but did not reach Paris, he made up for them, thanks to the epistolary exchange that he kept up with Canada; this is the case for the Relations of 1653, 1655, 1657, and 1658. Thus can be seen the importance that he attached to the publications of this annual report; and he was well placed to measure its effect. The office of mission procurator was not enough to occupy completely a man as active and an apostle as untiring as Father Le Jeune. In Paris he was a director of souls and a much sought-after and very reliable preacher, as is proven by his Épistres spirituelles, published in Paris by his friends soon after his death, in 1665. But though the Épistres enlighten us about Father Le Jeune’s religious doctrine, they add little to our historical knowledge. The names of the recipients, most of whom were still alive, were discreetly omitted; the names of persons – except that of Jogues which appears once – and the dates were likewise omitted. Out of a total of 288 extracts, only 11 seem to us to have been written in Canada; four bear the exact date, five do not but they announce Jogues’s death, which was known in Canada in the spring of 1647. During his years in Paris Father Le Jeune was first and foremost procurator of the mission in Canada; he was not only known as such, but he was also identified with the mission by his numerous correspondents. The role of spiritual adviser did not prejudice that of procurator; rather it was very useful to him in that it kept an important and influential public attached to the interests of New France. 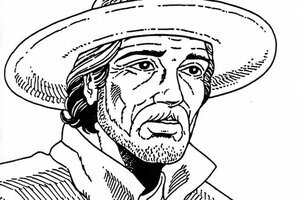 Did Father Le Jeune make a final voyage to Canada in 1660? 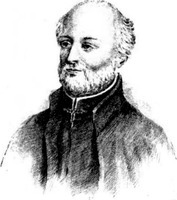 Abbé Auguste Gosselin asserted that he did; Father Rochemonteix denied it. The argument of silence which the latter presented has not met with general acceptance. The testimony of Marie de l’Incarnation [see Guyart], combined with certain allusions in the Épistres spirituelles, makes us inclined to believe that Father Le Jeune did come to Canada in 1660. An attentive study of the Relation for that year lends support to this view; in it can be recognized his style, his spirit, his manner, and a warmth of tone which is hard to explain if the author was not giving the evidence of his own eyes and ears. In 1662 he was replaced as mission procurator by Father Paul Ragueneau. He died on 7 Aug. 1664 in Paris. He was 73 years old. Of all Father Le Jeune’s merits the greatest was undoubtedly that of being the first, the most prolific, and the most efficient of the editors of the Relations des Jésuites. It is consequently not irrelevant to describe here this collection which before becoming a written source of Canadian history was a marvellous instrument of missionary propaganda. Just as Father Le Jeune had never requested to be sent on foreign missions, so he had never thought of making a collection of historical documents. 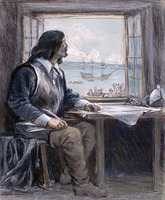 The letter which he sent to the provincial of Paris on 28 Aug. 1632, “from the midst of a forest more than 800 leagues in extent, at Kebec,” was quite simply a report of his voyage and his arrival in New France. He had kept his diary, for from 1 April until 5 July the main events are dated with unusual precision. But the letter that he wrote was not a dry, cold catalogue of facts. In it can be felt the soul of a great missionary, which was moved by the sad condition of the unbelievers whom he observed attentively and whom he already loved. This account, made up of things which were so astonishing for a Frenchman of the 17th century and which were so beautifully told, pleased Father Barthélemy Jacquinot, the provincial of Paris, who immediately ordered it to be published. The 1633 Relation was also, in Father Le Jeune’s mind, a private document, destined for the provincial of Paris alone: 216 pages of solid text, without chapter divisions and without marginal notes. The wealth of its contents justified its publication also. There are three editions of the Relations des Jésuites de la Nouvelle-France. The original edition is composed of 41 small duodecimal volumes, the first of which appeared in 1632 and the last in 1673. The 1637 Relation was printed at Rouen, by Jean Le Boullenger; all the others were printed in Paris, by Cramoisy. As the Relations had a purely practical aim, and appeared at a time when love of books was not as widespread as it is today, complete collections of the original edition are rare. If we limit ourselves to North America, Laval University in Quebec and Brown University in Providence, R.I., own complete sets of this edition. In 1858, thanks to a subsidy from the Canadian government, there appeared at Quebec the Relations des Jésuites contenant ce qui s’est passé de plus remarquable dans les missions des Pères de la Compagnie de Jésus dans la Nouvelle-France. These three fat volumes contain the exact text of all the Relations published in France from 1632 to 1673. 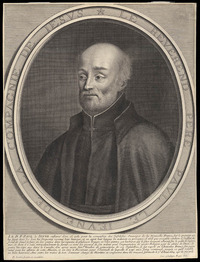 They also contain the Relation de la Nouvelle-France by Father Pierre Biard, which was published at Lyon in 1616, as well as the letter sent from Quebec on 1 Aug. 1626 by Father Charles Lalemant to his brother, Father Jérôme Lalemant. The editors of the Quebec edition wanted to save a very important source of Canadian history from destruction and make it accessible to a wide public, and this aim was attained in large measure. The hour of the learned edition had not yet arrived; but the third volume ended with an analytical table and an alphabetical index which made this edition easier to consult. The great merit of the Quebec edition is, in our opinion, that it prepared the way for the edition which bears the name of its director, Reuben Gold Thwaites. This edition, which is entitled The Jesuit Relations and allied documents, consists of 73 octavo volumes and was printed in Cleveland from 1896 to 1901 by Burrows Brothers. It is not our role to talk about the allied documents here. As for the Relations, the original French text is accompanied by an English translation. Bibliographical information and learned notes are included at the end of each volume. The collection ends with many and various tables and indexes which make it a wonderful tool. In 1960 Pageant Books Inc. of New York brought out a photographic edition of Thwaites’s work in 34 volumes, proof of the growing importance of the Relations. It is unfortunate that the notes have not been brought up to date, because after the beginning of the 20th century history made far from negligible strides. The Relations have had their detractors, but no serious historian casts doubt nowadays upon their historical value. Parkman has accorded them this praise: “With regard to the condition and character of the primitive inhabitants of North America, it is impossible to exaggerate their value as an authority. I should add that the closest examination has left me no doubt that these missionaries wrote in perfect good faith, and that the Relations hold a high place as authentic and trustworthy historical documents.” They did not tell everything: that was not their aim; but what they did affirm is worthy of credence. If really extraordinary facts, the truth of which the reader might question, are concerned, the authors merely recount and indicate their sources; or else they state formally what they themselves – and they were remarkably well-balanced – had seen and heard. If in the beginning they happened to utter hasty judgements, subsequently they added the necessary corrections. Never has their honesty been found wanting. As men of the 17th century they knew how to observe, discriminate, and express themselves clearly. Let us add that their language was in no way inferior to that of better-known authors who wrote in France at the same period; numerous are the pages of the Relations which would figure honourably in an anthology of French prose-writers of the 17th century. Before becoming a written source for Canadian history, the Relations were an indispensable source of life, as much for the apostolate to the unbelievers as for the French colony. Like all missions, those in New France entailed very heavy expenses. The apostles and their servants had to be lodged, clothed, and fed; innumerable needy had to be helped in a country where famine and epidemics appeared more frequently than not; as the faith progressed, chapels and residences had to be built and supplied with all the appurtenances. The Jesuits of France could not meet so many expenses by themselves. The alms inspired by the reading of the Relations seem to have been the most important material contribution. Émile Salone, Georges Goyau, and more recently Father Gilles Chaussé have brought out the vital role of the Relations in the peopling of the country by settlers from France. The reading of the Relations aroused in the monasteries and religious institutions of France a vast movement of sympathy, prayers, and devotion in favour of the missions in Canada. It was the starting-point for the missionary apostolate of women in the Roman Catholic Church. When the Ursulines and Hospitallers, answering the appeal of the Relations, arrived at Quebec in 1639, it marked the first time that cloistered nuns had crossed the seas to carry out an apostolic mission. “This participation of women in evangelization is a creation of Catholic and French origin, and it is what gives the colonization of Canada its true originality,” wrote Dom Jamet (Juchereau, Annales (Jamet), III). Though the project for Montreal, in M. de La Dauversière’s mind, was earlier than the Relations, the reading of the latter had a singular impact upon its development. 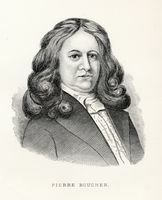 M. de La Dauversière’s particular vocation was to assure the founding of Montreal without leaving his little town of La Flèche and without giving up his office as tax-collector. He therefore needed a deputy on the spot, but it had to be a man with his stamp of mind, disinterested, and capable of understanding the sublime beauty of the project for Montreal. This indispensable man did indeed exist: his name was Paul de Chomedey de Maisonneuve, and it was the 1649 Relation that led him to M. de La Dauversière. 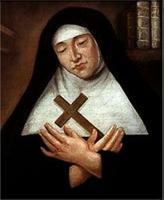 The Relation for 1639 inspired the missionary vocation of Jeanne Mance, the laywoman from Champagne who founded the first hospital in Montreal and whose cause for beatification is registered in the court of Rome. Mother Marie de l’Incarnation and Mme de Chauvigny de La Peltrie owed their vocation in Canada to the reading of the Relations. 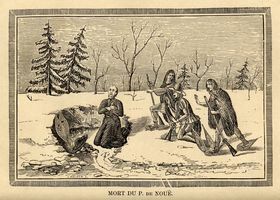 The 1647 Relation, which recounted the martyrdom of Saint Isaac Jogues, decided the coming to Canada of the great mystic of the Hôtel-Dieu of Quebec, Marie-Catherine de Saint-Augustin [see Simon]. This simple enumeration is already imposing; it is not complete. It does suffice, we believe, to establish the unrivalled influence of the Relations des Jésuites on the history of Canada at its origins. And it is fitting to point out Father Le Jeune’s immense merit: he created the marvellous instrument of propaganda embodied in the Relations; he assured their success by the beauty and the communicative warmth of his style, and by the loftiness of his thoughts; he imposed New France upon the attention of the mother country. The first 11 Relations are his work, and that was the golden age of the missions. From that period date institutions and works which, after serving the particular aim which had been their inspiration, have endured to our own days: the Ursulines and Hospitallers of Quebec, the founding of Montreal, and so on. Of the 41 volumes which make up the original edition, 15 are entirely Le Jeune’s; and he contributed to all the others until 1662. Léon Pouliot, “LE JEUNE, PAUL,” in Dictionary of Canadian Biography, vol. 1, University of Toronto/Université Laval, 2003–, accessed April 22, 2019, http://www.biographi.ca/en/bio/le_jeune_paul_1E.html.